How Do Wrong Way Car Accidents Happen in Phoenix, AZ? You are here: Home / Car Accidents / How Do Wrong Way Car Accidents Happen in Phoenix, AZ? It is often difficult to imagine why a vehicle would be driving the wrong way but the fact is that wrong way car accidents are not exactly uncommon in Phoenix, AZ. Most of these wrong-way accidents occur on highways and sometimes can also happen on one-way streets where drivers are too distracted to notice or simply miss the signs that indicate that a particular road is a one-way street. 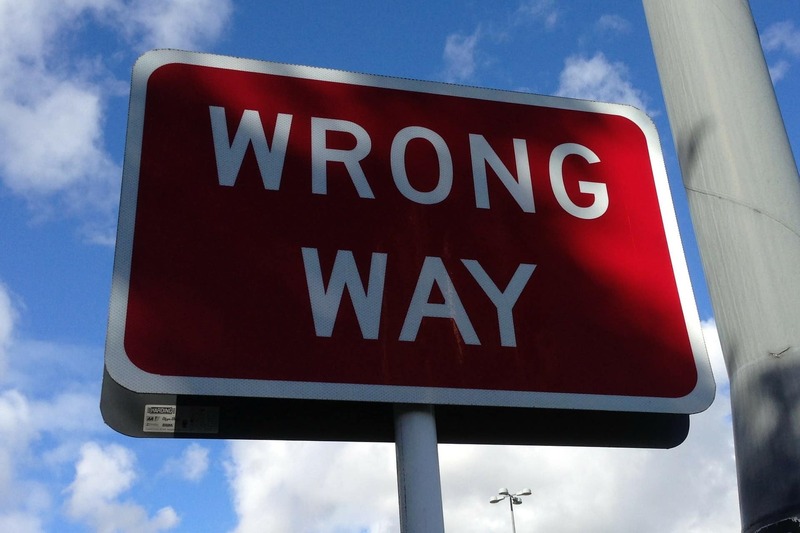 The Arizona Department of Transportation has reported a steady increase in wrong way accidents. Drunk driving or driving under the influence of drugs is often the cause of a wrong way accident. Whenever a driver is drunk on intoxicated, their concentration level tends to decrease. In this situation, they may take the wrong exit or the wrong turn which could result in a wrong way accident. Distracted driving is another problem that continues to increase as more and more drivers refuse to heed warnings and still continue to text while driving. A distracted driver is more prone to make mistakes and is also at greater risk of being in a traffic collision. A wrong-way accident could be the consequence of this type of behavior. Similarly, drivers who are fatigued or who get behind the wheel when they are drowsy can also miss signs or use the wrong exits or ramps. This is another reason why a wrong way accident could take place. Failure to obey the rules of the road as well as follow traffic signs and signals could also result in a traffic accident. When a driver does not follow signs or does not bother to watch out for warnings on exits, turns, and highways, they can easily get involved in a wrong way car accident. Fleeing from the police is another common cause of a wrong way accident. In such a situation, the driver does not get in the wrong lane because they are distracted or drunk or because they made a genuine error. Most of the time, it is because they want to shake off the police and don’t really care whether they are driving the right way or the wrong way as long as they can get away. This often results in a wrong-way accident. Another cause of wrong way car accidents could be missing road signs, road construction, and detours. In such a situation, the driver is not always to be blamed. If a road sign is broken or missing and the driver takes a turn without knowing that they are going the wrong way, a traffic collision can occur. Similarly, if there is a detour because of an emergency or road construction and if the driver is not familiar with the new route, they may make a wrong turn. Again, if this is mainly due to road changes/construction and/or missing signs, one cannot blame the driver for causing a wrong way accident. The most effective way of preventing a wrong way accident is to be completely alert when you are behind the wheel. Make sure you are not intoxicated and never text while driving. Keep your cell phone aside and do not engage in any conversations on the phone, even with a headset. Follow all traffic signals and signs. Keep an eye out for any detour signs and/or construction warnings. If you drive with complete focus and attention, you are not only saving your own life, but you are also making sure no one else gets hurt. If you are on the right side of the road and you see a vehicle approaching you from the wrong way, try to steer clear, if possible. Sometimes, there is not sufficient time to respond in such a situation as most people do not expect a vehicle to appear out of nowhere on the wrong side of the road. A lot of accidents happen because the victims are caught off-guard and are unable to steer clear or get out of the way in time. If you were in a wrong way accident and if you suffered serious injuries and/or property damage, you can contact our car accident lawyer at Warnock Mackinlay Law. Our legal team is here to discuss the specifics of your case with you and to help you get the compensation you deserve.